Check out the deals and specials offered by retailers and businesses! At the top right of this page enter the city & category you are searching & hit go. Pick a category from the left column & choose the city from the pop up menu. Be the first Business in your Deal Checker category in your town or city and receive one year FREE! Email sales@ab-online.ca for your coupon code to receive this special. Albert On-Line Deal Checker is fully interactive. Retailers can change items in their offering as often as needed. 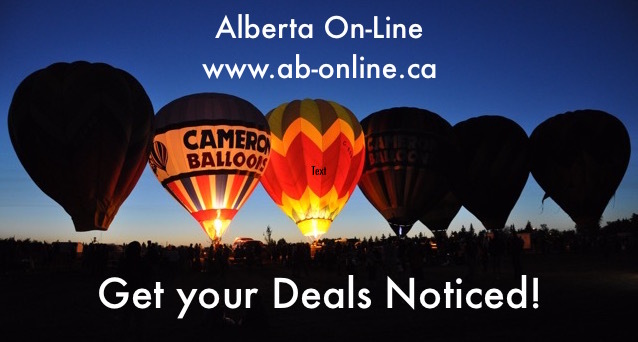 The powerful and effective Alberta On-Line Deal Checker search feature makes finding what you need quick and easy, with results that you can actually use. Enter the CITY and Category and hit GO It’s that easy! No time to create your Deal Checker Page? Alberta On-Line can help you!